Jean de Lange TSA (Tennis South Africa) national u/14 coach and Ntando Lungwazi the 'sniper' who has worked with international players ,coach and manage this group of players. The team teaches the principles and discipline of performance tennis needed. 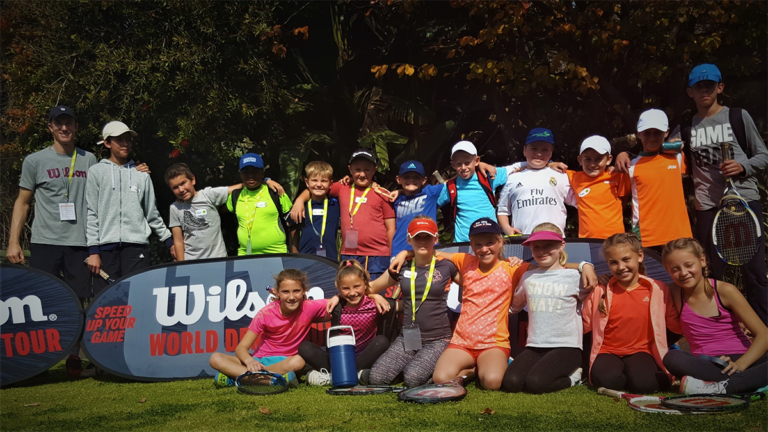 The ITF (International Tennis Federation) introduced the Play n Stay concept and designed it specifically for your child’s level of play, using assorted colour coded and pressurized tennis balls (in this case green) to make learning easier and more enjoyable with friends in the lesson. Kinetik Tennis Academy in partnership with Get Set Play Events presents mini tournaments catered specific for the green ball player and their needs to develop further. These mini-tournaments are a must as many players often over train and under play (in a realistic match environment with points). Level based round robin format draws will be used with different point structures to achieve the specific weekly outcome. The mini tournament will run weekly as advertised in this presentation and will be part of the once a semester Regional GSP Tennis Tournament in Fairland.